There are many aspects to a programming language. 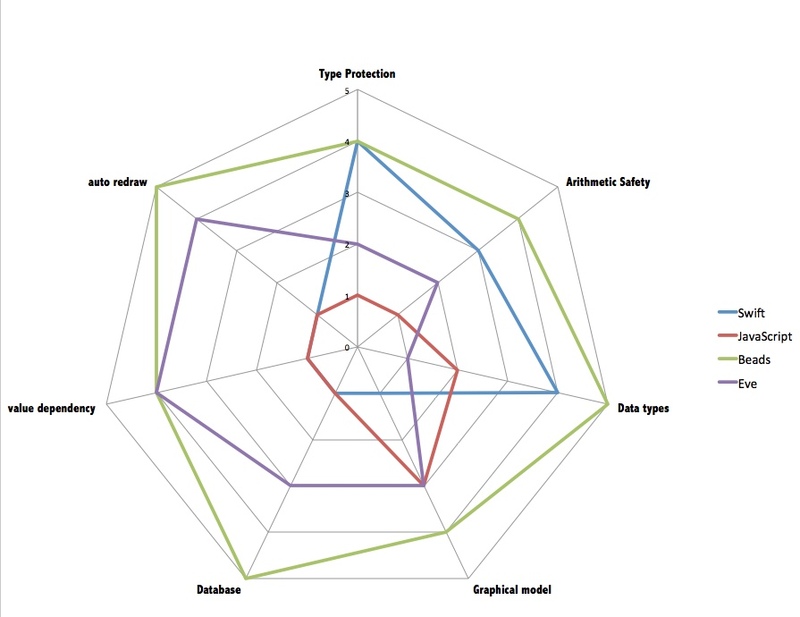 One way to evaluate the sophistication is to make a radar graph. Here we present the following scales, where in each category we list the scale of sophistication, where 1 is primitive, and 5 is deluxe. Modula-2 type airtight range checks, etc. includes structured types, dates, records, sounds, etc.